If you haven’t seen Kings (which, statistically, you haven’t because pretty much nobody watched it and then it was cancelled), then you probably don’t know what it’s about. The premise is both very simple and incredibly complicated at the same time. It’s a modern day retelling of the story of David, from the Bible, set in a fictional country, and dealing with the succession of, well, kings. For those of you who didn’t go to Sunday School until you were seventeen, here’s the story of David. And here’s the story of Kings: David Shepherd is a young mechanic growing up on his mother’s farm. 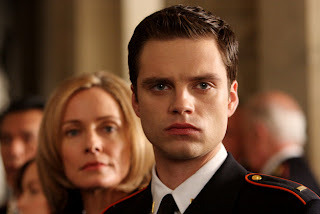 He lives in a kingdom at war, and he grows up to be a soldier. On the battlefield, he gets news that some captured soldiers from his side are being held by the enemy just across the battlefield. So, in a fit of bravery and stupidity, he rushes across no man’s land to save them. Which he does, because he’s pretty darn good at this whole soldier thing. Unfortunately on the way back over, the enemy notices that he’s there, and the jig is up. David has to face off against a Goliath tank in order to make sure they get across safely. And he does. 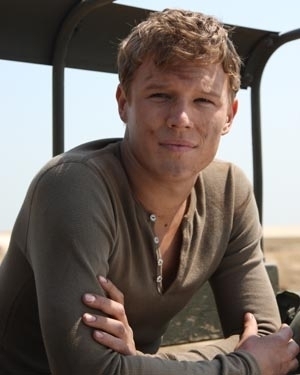 The rescue is so ridiculous and heroic that David is brought in from the front lines and gets to meet the King, Silas. Silas throws a banquet in David’s honor, because not only was he stupidly brave, he just rescued the King’s son, Jack. And then some more stuff happens, because this is an ensemble drama that’s reasonably well done, but at the end of the first episode this is what we know: David is an inhumanly nice person but not without his faults, King Silas is massively screwed up and is betraying his country, and David has been chosen to be the next king. So what does this have to do with us? Well, aside from firmly believing that all of you should totally watch this show (it’s on Hulu, get on that), I want to talk about the characters, and how sometimes in adaptations, you have to make tough decisions in order to stay true to the spirit of the source material. Like I said above, Kings is a very obvious retelling of the story of David from the Bible. The character of David, who used to be a shepherd, is now named David Shepherd. That’s about the level of subtlety we’re dealing with here. But more than anything, this is a show about sons and fathers, both dead and living, and how our actions affect those around us. Yes, it happens on a grand scale and is Biblically based, but that doesn’t change anything important. What it does change is how we tell the story. When you read the story of David in the Bible, Jonathan, the king’s son, stands out for a very unusual reason. He does nothing wrong. Like, the guy is epic levels of awesome, and the nicest person ever to boot. It’s not that I don’t believe the story, it’s just that if I were writing this, Jonathan would be a lot more cranky. He’s the king’s son, and yet he finds out that this punk kid from who-knows-where is actually going to be the next king and not him? That’s gotta burn. And to top it all off, he owes David his life. Call me shallow, but that sounds pretty hard to deal with. Kings seems to have heard my cry and answered it with a beautiful, complex, and damaged character, who continuously acts in the way you expect the passed over son to behave. 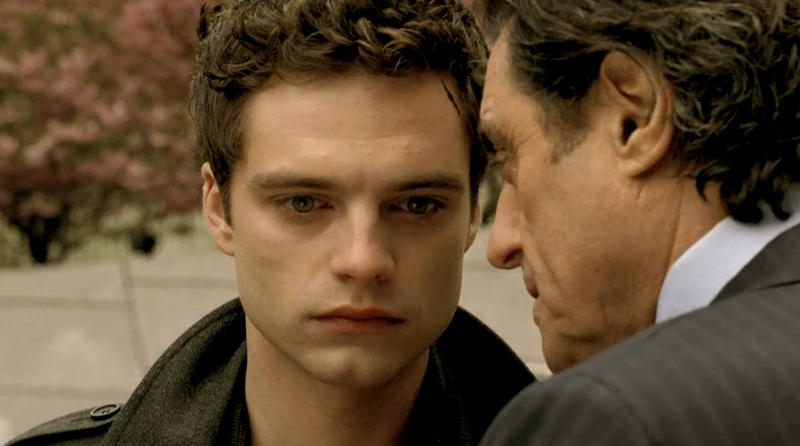 Kudos, by the way, to Sebastian Stan, for proving that there is no such thing as a wasted reaction shot. The guy can really burn a lens. Jonathan, or Jack in the show, isn’t just some goody two shoes pretty boy. 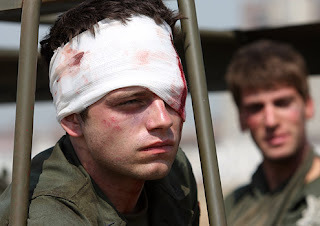 While in the original story he and David immediately become best friends and live for each other, in this version, Jack is resentful of the way that David’s heroism has completely overshadowed the tragedy of the men who died in the attack. While he respects David, he doesn’t really like him. This is compounded when we discover that Silas (the King) is actually trying to actively get rid of Jack as his successor, because Jack is gay and both an embarrassment and a potential disaster to the monarchy. Jack is pushed to be perfect, and it shows. All of this is sad and depressing and totally no the kind of thing I would wish on a character, except…it makes the story way, way better. Now, instead of David and Jack hitting it off right away, we watch that relationship bloom. They learn to trust each other, and that good can come of their friendship. And when Silas finally turns on David, Jack stands up to him, ready to step aside for the chosen king. So why make him gay? What purpose did that serve in the adaptation process? Jonathan in the Bible is an underdeveloped character. We’re not given much to go on except his general awesomeness, and how he dies young. When turning him into a full television character, the writers had to grab onto aspects of Jonathan’s character that they inferred from the story. And the most obvious trait they got was his overwhelming love of David. They didn’t have to extrapolate this in to him being gay, not necessarily, but it informed the rest of the show perfectly. Now, Silas puts his hope in David at first because he knows that his own son is by his judgment unfit to rule. Jack has to learn to trust David even while he is well aware of his father’s beliefs. And the rest of the family gets to hide from the fallout. It makes their bond stronger, to know that David accepts Jack no matter what, and it makes the tension greater, to know that Silas doesn’t. In the end, that’s all the reason you need. Watch this show. Watch it! How can you say no to this face? Thank you for this post, truly. Kings just shot to the top of my to-watch list.